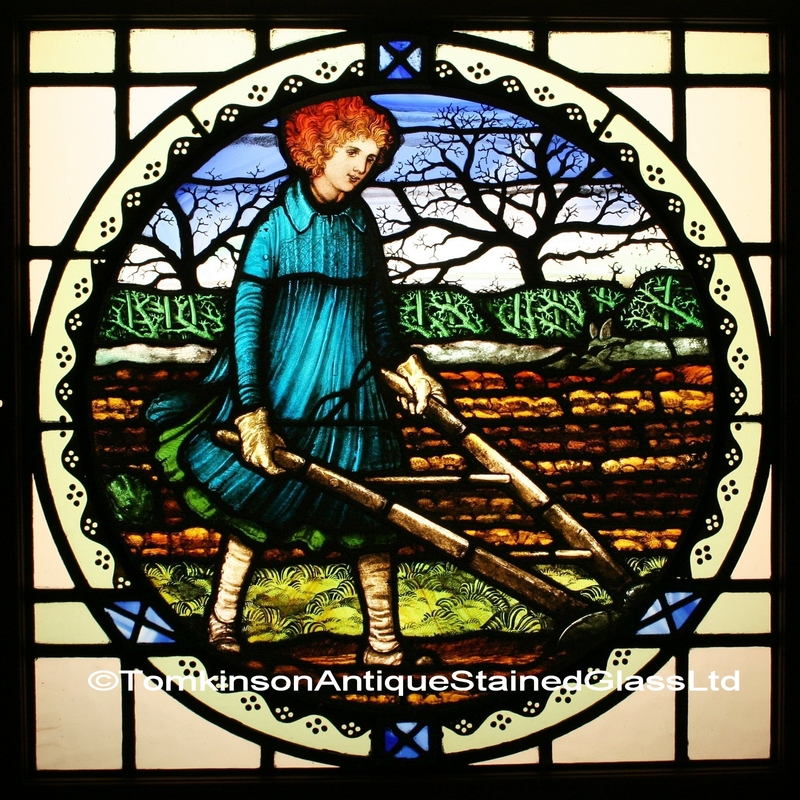 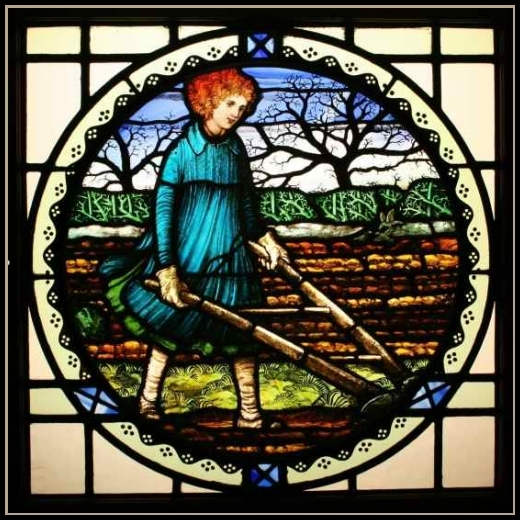 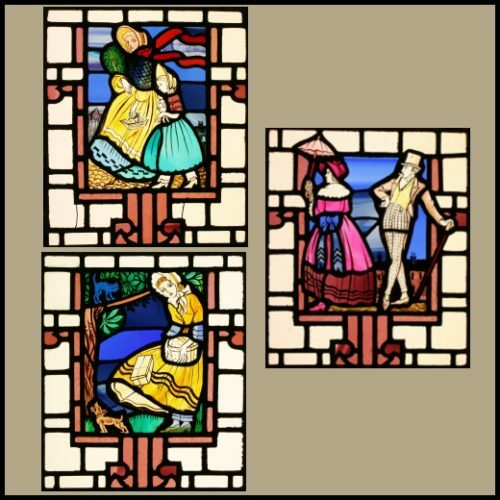 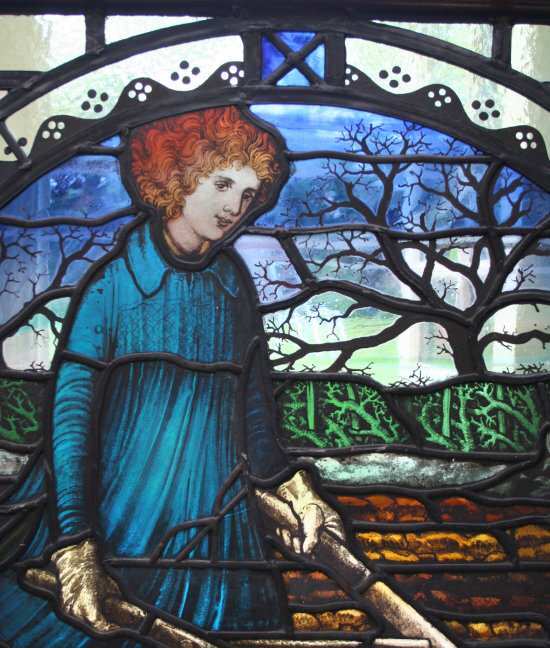 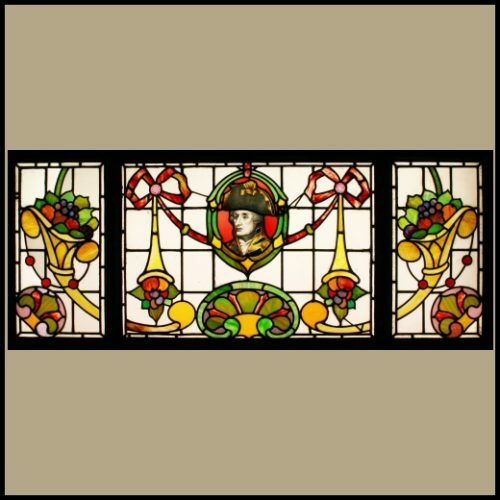 Arts & Crafts leaded window c1930 with large roundel hand painted depicting a girl ploughing a field. 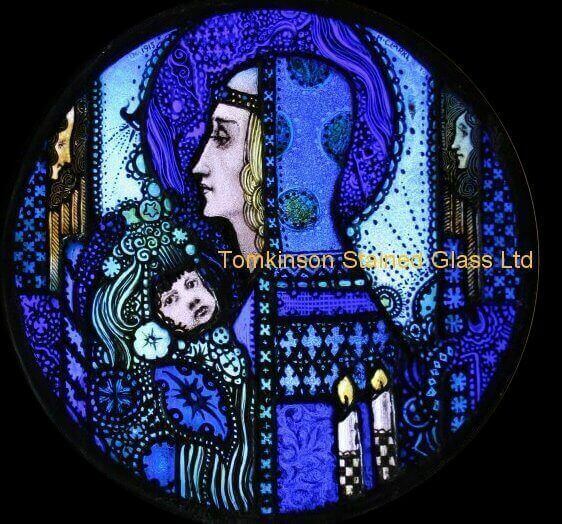 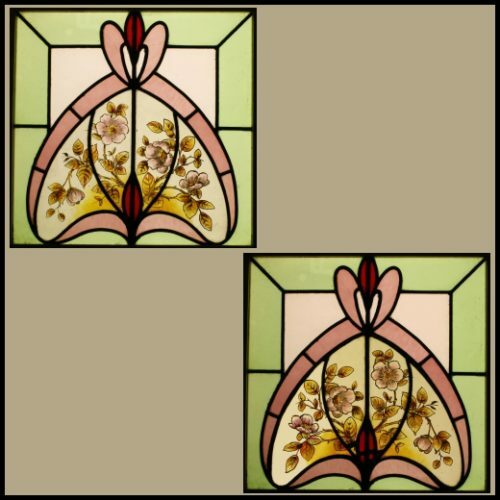 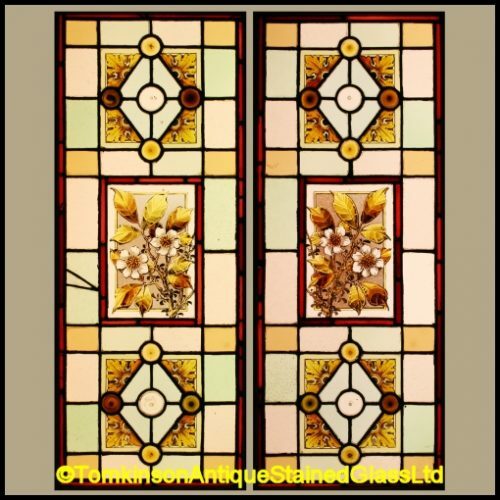 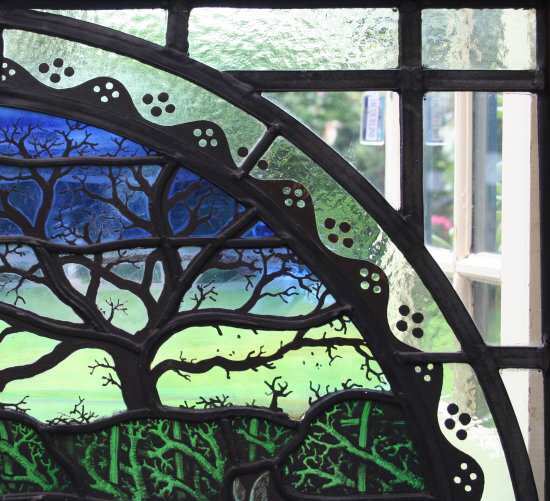 Lovely decorative window, leaded using textured coloured glass, pastel green “Cathedral” and clear glass. 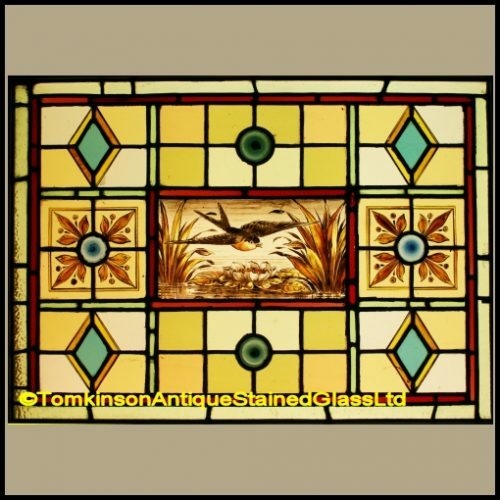 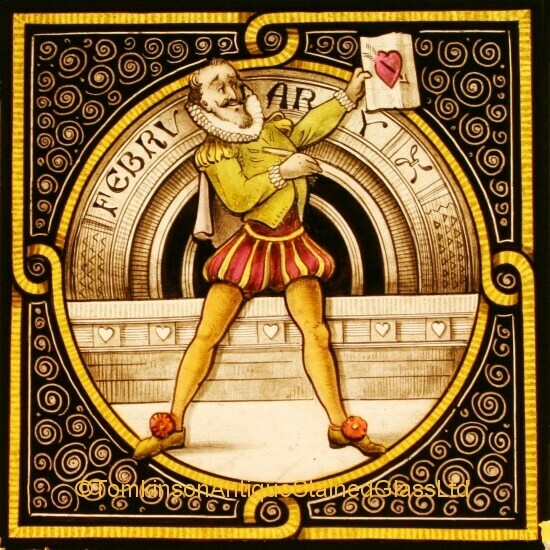 In excellent original condition and in original hard wood frame.